The siddur is not merely a guide to the prayer service, but a narrative that takes us on a quest, as any good story should. This quest isn’t for a beloved, or a holy object, or the means to save the world; it’s a story of our search for a relationship with God, community, history and ultimately our souls. Ideally, by the end of the service, we are, even if only a little bit, transformed. There is great joy in this journey, and liturgist Alden Solovy explores this in depth in his new book, This Joyous Soul: A New Voice for Ancient Yearnings. This is very close to an exact translation of the Hebrew prayer, but Solovy’s version doesn’t stop there. It continues on for eight more stanzas, each enlarging on what God restores for us. Each new stanza builds upon the last, from restoration of the soul to restoration of trust, hope, kindness, justice, mercy, peace and then, with all of that awakened, back again to one’s soul. It is a masterful use of the liturgical tropes of repetition and accumulation. Any prayer leader or teacher in need of an explanation of Modeh Ani and anyone in need of an inspiring kavannah could do no better. Rabbi Sally Priesand’s Introduction to the book sums it up perfectly: “Let THIS JOYOUS SOUL feed your soul with the love of prayer. May the words of your heart lift you, shine within you, and bring you joy, comfort and peace.” Amen. 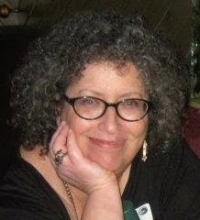 Trisha Arlin is a regular contributor to Ritualwell, a liturgist and very part-time rabbinic student at the Academy of Jewish religion; 2014 Liturgist-In-Residence at the National Havurah Summer Institute; the editor of RAISING MY VOICE: Selected Sermons and Writings by Rabbi Ellen Lippmann and VOICES, the Kolot Chayeinu Journal; and creator of the Writing Personal Prayer workshops. She blogs at: http://triganza.blogspot.com/. Alden Solovy is an acclaimed liturgist of over 700 original works of Jewish liturgy. He recently taught an online course, through the Reconstructionist Learning Networks in collaboration with Ritualwell, entitled "Ingredients of Prayer: Writing Contemporary Liturgy." His fourth book of new liturgy, This Joyous Soul: A New Voice for Ancient Yearnings, was recently published by CCAR Press. Alden blogs his latest prayers at www.tobendlight.com.